uBlock Origin vs. Adblock: who wins? Which one is the best? As always, that will depend on each customer’s taste and past experiences, but in this article, we will highlight each option’s pros and cons and try to determine the most efficient ad blocking tool. “Ad” is short for advertising, which is any form of brand endorsement or promotion made with the intention of increasing sales of a specific product or service. It has been part of the marketing universe for decades, and with the rise and consolidation of the Internet, they migrated to the online platform as well. Numerous sites and services on the web show ads, which is natural because it is one of the most evident ways to make money. Usually, companies pay per click, or per “conversion,” depending on the context. The problem, though, begins when particular websites have so many ads that they interfere with navigability. Ads can not only be annoying, but they are also dangerous since they can lead to malicious sites and attachments that can bring various malware forms and types to your device, further affecting your hardware and software. 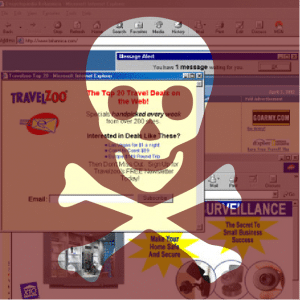 Threats such as adware and spyware are commonly associated with ads. That’s why people want to avoid or block them at all costs. Both uBlock Origin and AdBlock are tools made to combat these hazardous pop us and advertising messages on the web. But among uBlock Origin vs. AdBlock, which one is the most efficient? Let’s see. Created eight years, ago, AdBlock can be defined as a content filtering tool and ad blocking extension for several web browsers. It helps customers avoid ads from interfering with the browsing experience. AdBlock shows, as part of its policy, “Acceptable Ads,” which are known in the industry as “non-annoying ads.” By doing that, AdBlock protects the client from irritating ads but preserves revenues for websites while providing an incentive for these pages to create better ads. The AdBlock extension natively supports AdBlock Plus filter subscriptions and implements its same syntax for Firefox. Another free, open source software proposition, uBlock Origin was created in 2014 to help block advertising messages on websites. It is a cross-platform browsing extension that filters content. To the contrary of AdBlock, the uBlock Origin browser extension is less memory-intensive, which has earned the service praise from tech and other specialized sites. Its primary goal is to help users with the tools to make their own choice when it comes to content filtering. uBlock was created, founded, and developed by Raymond Hill. It is available in 18 languages. By the start of 2018, the Chrome extension surpassed 10 million active users, and the Firefox one had more than 5 million active users. Both are open source projects, which means that their code is available for improvements. They are supported by users’ contributions. AdBlock has a broader language availability, being available in 51 dialects. uBlock can be found on 18. AdBlocker is available on more web browsers than uBlock. The latter isn’t supported on Android, Yandex, or Maxthon, for example. uBlock is much more space, memory, and resource-friendly than AdBlock. AdBlock allows non-intrusive advertising by default. AdBlock lets you blacklist individual websites and domains at your discretion. AdBlock is more adept at letting users know the steps required to block social media updates. Both interfaces are user-friendly and clean, but AdBlock gets a slight edge here, too. Even if your preferred VPN doesn’t have an ad blocking feature, it will protect you from hackers and some malware developers present in the online world, because it will build a virtual tunnel for your most critical data (including IP address or geo-location, browsing history, traffic, and more) to pass through. VPN stands for Virtual Private Networks, and they are encryption tools present online in the form of apps or clients. They will provide traits like security, privacy, anonymity, and access to internationally restricted sites and services. 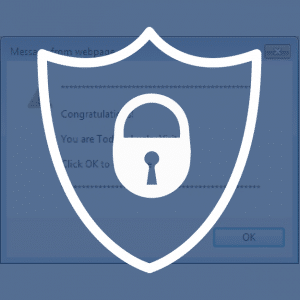 Numerous cybercriminals are hidden behind ad messages and unknown attachments, but a VPN with ad blocking and strong privacy and security features will help you dodge those threats. 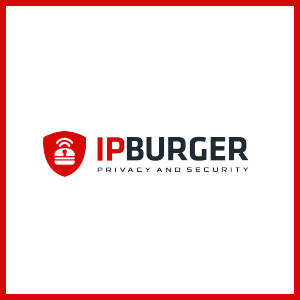 IPBurger is a perfectly usable option, with the ability to hide your IP address from hackers and other hazards related to the use of the Internet. It has shared and dedicated IP addresses for you to choose according to your preferred activity, and its robust encryption will fiercely protect your shared content online. In conclusion, the battle between uBlock Origin vs. AdBlock is a tight one, and there is no clear winner as both are solid options if you want to block ads online. However, we are inclined to give AdBlock a slight edge because the implementation of the “Acceptable Ads” feature, its cleaner interface, and better guides to dodge threats related to social media updates.